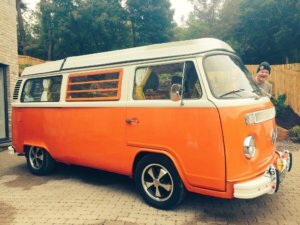 Seeking a classic Volkswagen Campervan? 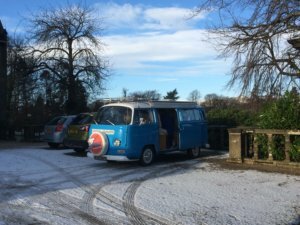 Having now been lucky enough to buy five VW Bay Window Campervans and one VW Splitscreen Microbus, I’ve learnt from a few mistakes and picked up a few tips, which I hope may in turn help you. Unless you already know a lot about air-cooled mechanics, the book will give you lots of useful information but it will probably also demonstrate the one most important thing in this buying process- TAKE AN EXPERT WITH YOU. Good air-cooled mechanics are few and far between but unless you know what you’re doing, you will need to build a good relationship with one anyway. Ask them to come on a pre-purchase inspection with you. Try not to buy at peak season, it is more of a sellers’ market in Spring and the start of Summer. Don’t buy in Autumn or Winter, unless you already have a dry garage to store it in though. Have a budget and stick to it, don’t be swayed by all the romantic notions of roadtrips, campfires and beaches which will run through your head as you view. Never ever name a campervan (even if only in your head) before the deal is done. Know that you will be spending a lot after buying the campervan. Rust never sleeps it spreads rapidly. A magnet can help you see where there’s hidden filler but rust can be hidden and a lovely shiny paint job can sometimes demonstrate this. 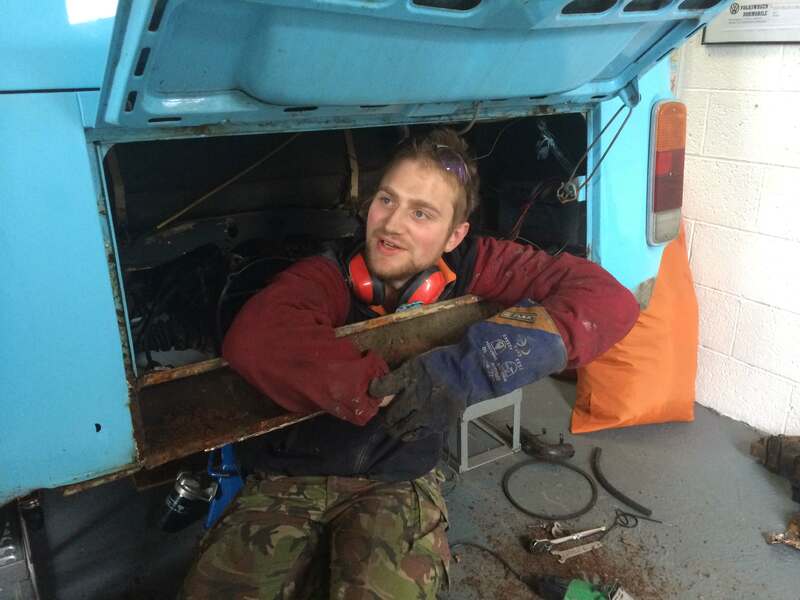 You need a proper old school mechanic with T2 experience, unless you are lucky enough to be able to look after the myriad of mechanical parts which can fail yourself. Our fleet is kept in their amazing condition by Solway Campers. Join a local VW Club and see if you can even purchase from one of their long term members or friends. If you are lucky the amount of advice and friendship these guys will share with you is priceless. Have you ever actually driven and slept in a campervan and do you know a T2 will suit you and your family? Try before you buy, book your Vintage VW Campers adventure or buy our Gift Experience Vouchers for your loved one today. Once you’ve bought it, use it! Don’t hide it away. You will invest a lot of time and money into it over the years and you must know that you will get the use of it for holidays and daytrips for years to come. Enjoy!